The function of the eye is based on the perception of light reflection. Radiating light from a source lands on a surface and is reflected off the surface and impacts on the eye. Thus we see the surface of the object that we are viewing. Hereditary hair loss is caused by the shrinkage and loss of hair colour, this process is known as miniaturisation, because the hair on the upper head area becomes progressively finer. 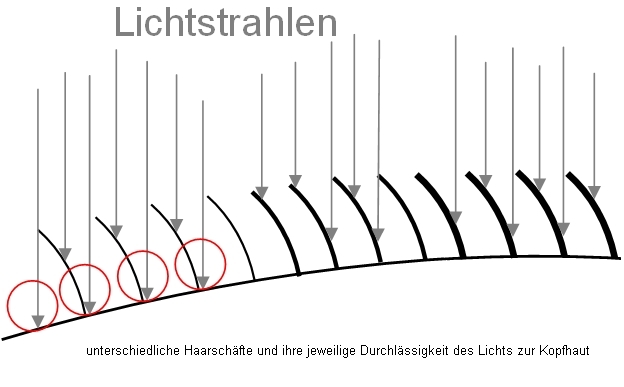 The loss of the hair diameter automatically leads to a loss of coverage over the head, thus the light rays penetrate through the hair to the scalp underneath, they are then reflected back off the scalp to the eye. What is reflected back is the scalp colour, and gradually as the scalp becomes more visible hair loss becomes cosmetically apparent. This is a clear sign that the hereditary hair loss is in progress. Miniaturised hair is weak, colourless, and lifeless. The importance of light incident is also illustrated in the following picture. Despite the time of day the forest floor is dark because the trees block the light. The aim of Hair transplantation is therefore to cover with a sufficient amount of healthy hair in order to block the incident light beams. In other words: the objective is the restoration of enough hair placed closed enough together to block the light. 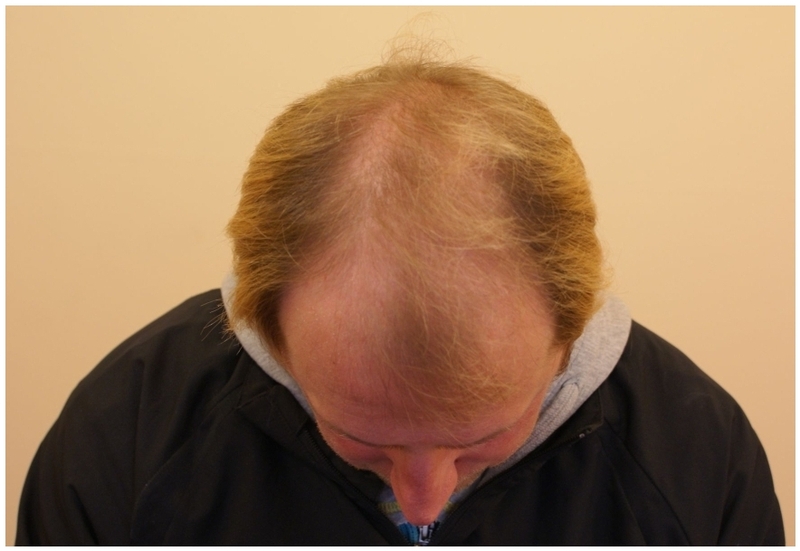 Read here what is a hair transplant and why it works.